I am planning out the 4th Annual OU Creaties for this year. Every year we honor the best students and faculty who created the best new websites and web content in OU Create. This year we’re moving away from a physical event and focusing instead on a video that celebrates the achievements of the Create community. This week we’ve been collecting nominations and laying the ground work for the awards. This includes everything from preparing 3D printed trophies, to updating the website, to getting graphics set up for the awards video. This week I also worked on a pair of web development projects. I’ve been working with the Carl Albert Center here at OU for a couple of months now on transitioning what had been a biannual print magazine/journal into a digital publication. 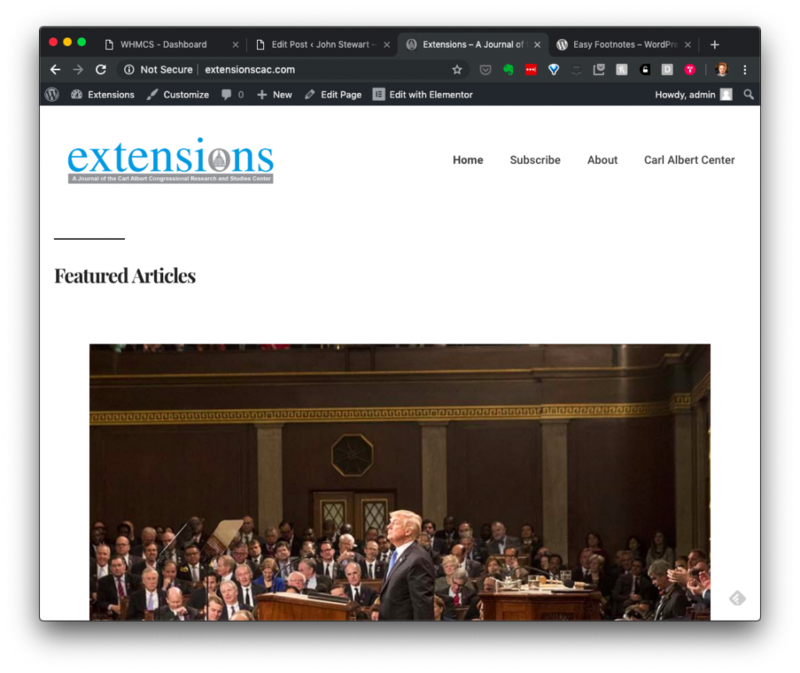 Extensions, as the magazine is called, is keeping most of its format in terms of featured articles and news from the center. Most of the work then was just in translating the look of the glossy publication into the website. In working with the staff at Center, Katherine McRae, Chuck Finocchiaro, and Michael Crespin, we drew out on white boards the layout of the home page and how we could use the categories and tags in WordPress to build a new layer of discoverability into Extensions. We picked out a theme, and then I did some tweaking in the CSS and plugins to get everything to match up. I learned a couple of things on this project. We found a plugin that handles footnotes pretty well, Easy Footnotes, and another that allows us to add author information for the articles even though those authors don’t actually have access to the backend of the site, Simple Authorbox. 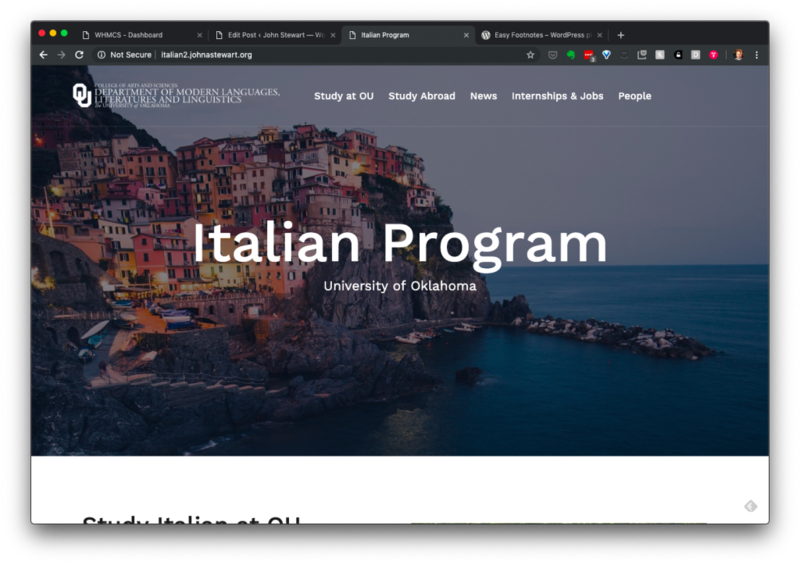 The other project that I focused on this week was a site for the Italian Program here at OU. The Modern Languages Department has its own site within our university CMS, but the smaller programs like Italian don’t have their own sites. They wanted something that would spotlight both the students and faculty and explain to students why they should study Italian at OU. We have great study abroad programs at Arezzo and Bologna, so there are tons of great images to work with. Dr. Irene Bulla sent me tons of great copy for the site, so the main challenge for me was just laying everything out. I think there’s still some tweaking to do on that front to get it looking great, but I’m pretty happy with where we are. There have been several articles over the last week about Sally Rooney and her new book Ordinary People. I just got the new book off of ILL, but I thought I would check out her first book, Conversations with Friends, while I waited. Rooney’s writing style is really interesting. The book is driven by conversation using face-to-face, email, and text conversations to build an epistolary framework for a ménage à quatre. There is very little superfluous description of settings, and the book would feel brisk if there was a traditional, central narrative to follow. However, the story is character driven, looping through the coming of age of a pair of millenial, Irish college students. I enjoyed the book while disliking pretty much all of the characters. I’m going to try to write up more of my thoughts soon. 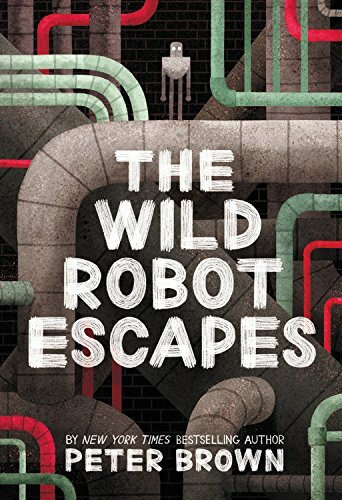 This week, I finished reading Peter Brown’s The Wild Robot Escapes to my daughter, Evie. We had read The Wild Robot about a month ago, and both tell the story of a robot named Roz who washed up on shore on a remote island. Peter Brown uses the robot and her animal friends as an allegory about family, community, and life. I strongly recommend these books to anyone with kids old enough for some direct conversations. You can find my longer write up here. 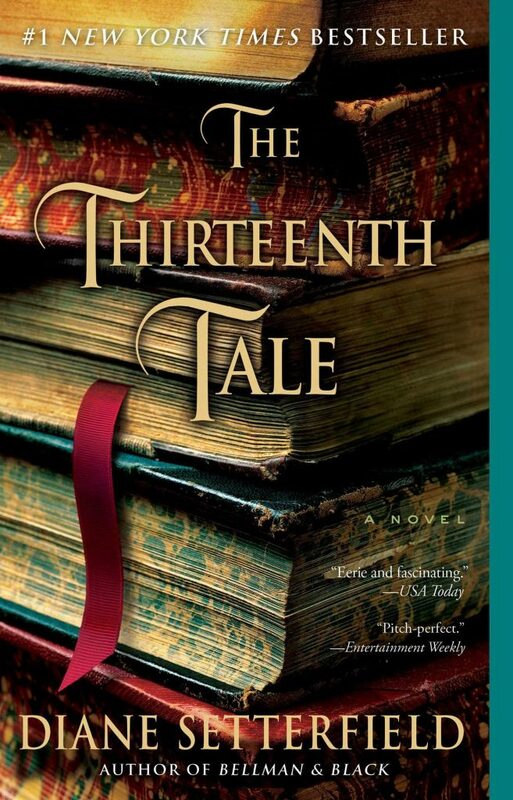 I also listened to a book called The Thirteenth Tale by Diane Setterfield. The book strongly reminded me of Mary Shelley’s Frankenstein in that it was a gothic noir told within a similar interview framing device. 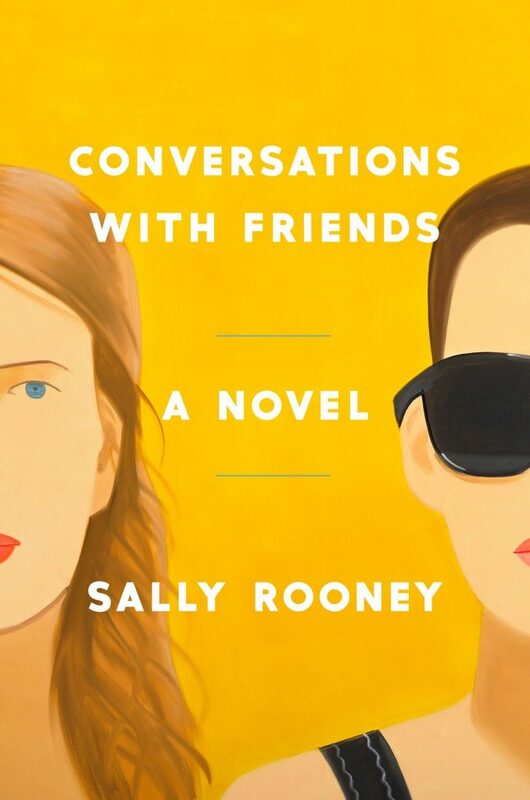 Both this book and Rooney’s Conversations feature well educated female leads who casually allude to literary and intellectual figures to make their points. This week, I finished reading Peter Brown’s The Wild Robot Escapes to my daughter, Evie. We had read The Wild Robot about a month ago, and both tell the story of a robot named Roz who washed up on shore on a remote island. On the island, she learns how to survive from the wild animals. Peter Brown uses the robot and her animal friends as an allegory about family, community, and life. In a single year on the island, we see births and deaths in surprisingly stark terms. We see families and friendships forming, the harsh winter taking its toll on the wildlife, and the outside world threatening Roz and her island community. We really enjoyed both books, though the first was a better story. Each night, we would read a few chapters and discuss family, the life cycle, artificial intelligence, personhood, independence, freedom, being a parent, being a child, and all the other wonderful motifs in these books. I was surprised by where the book took us and by Evie’s questions and maturity about these topics. I strongly recommend these books to anyone with kids old enough for some direct conversations. I’ve been (slowly) working my way through the 23 Things List, a project on digital literacy from the University of Edinburgh. Thing number 4 was Digital Security. While we include Web Security in a lot of our digital literacy prorams, I’m not a huge WebSec person. It’s not something that I think about or worry about to the extent that ….. does. If you go to https://www.google.com/maps/timeline, you will likely find your own movement history for the past several years. As you can see in the picture above, Google knows my home and work addresses (I’ve removed them from the screenshot), the cities that I’ve been to, and even the modes of transportation I took to get there. I can go through the data and find out how many times I’ve been to my favorite coffee shops over the past week or year. Google has data on my location dating back to 2009, which is probably when I got my first phone that tracked geolocations. The data is a bit patchy for the early years, but pretty thorough since about 2015. My colleague Keegan Long-Wheeler has been doing some work on reconstructing his memories from the past few years. He had a brain tumor removed earlier this year, so he has been going back through the softwares that track him to retrace his steps and reflect on his activities. If we want to be very generous to Google, we can suppose for a moment that this is how they intended such data to be used. I enjoyed spending about 15 minutes looking back through my data and remembering some of the trips from the past couple of years. Google also uses this data to send us notifications about how long it’s going to take to get to work in the morning and what the traffic is like around us. They put our maps through algorithms to understand our daily routines, and build that information into their phones, watches, and assistants. However, I think we all realize that the reason Google collects this information is so that they can use it for marketing. Google is an ad company and a data company. They want to micro-target us with ads, and they want to sell our data to companies that will be most interested in us. Knowing literally everywhere that I’ve been over the past 10 years is valuable for their business model. If you haven’t done it yet, go to https://www.google.com/maps/timeline and look at your data. Play around with it for a few minutes. Reminisce about those trips and your favorite spots around town. Now look at the little black trashcan at the bottom of the screen, and seriously think about deleting all that location data. If you didn’t know about this service until today, and if you don’t care about those notifications you get to your phone, you won’t be missing anything and Google won’t be able to sell all of your location data any more. If you love your Google notifications, and you’ve got a Google Home listening to your every move at home, then maybe leave it on. Either way, control of your data should be up to you. 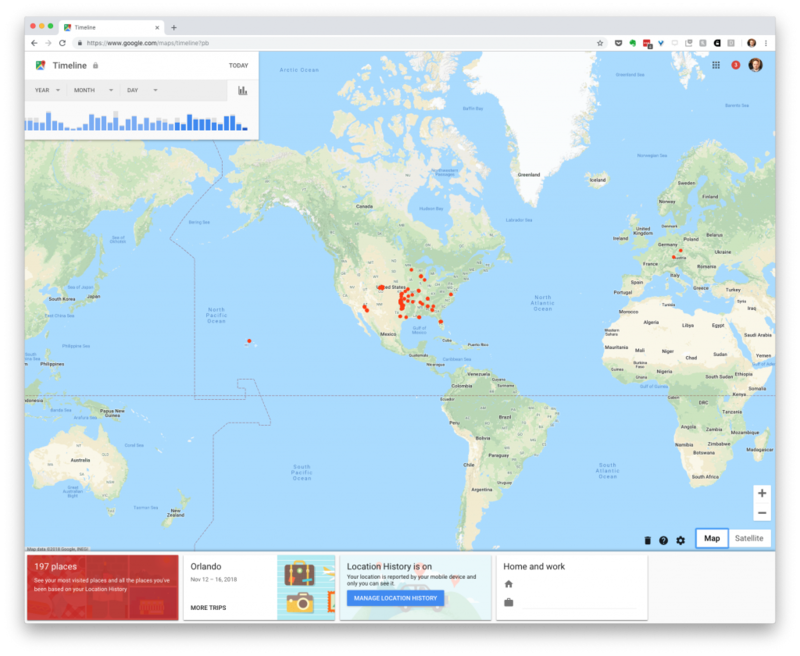 You can find more about your data security in the Thing 4 walkthrough or check out this Medium post by Nick Rosener on Personal Cybersecurity. John Stewart is the Assistant Director for the Office of Digital Learning at the University of Oklahoma. This site includes information about his ongoing projects.